Digital Forensics - Stillinger Investigations, Inc.
We are a Private Investigation company, licensed, bonded and insured, focused in Digital Forensics, eDiscovery, and Criminal Defense investigations. Utilizing ultramodern methods, tools, and techniques, combined with our extensive investigative experience, Certified Computer Forensics provides fully comprehensive, dependable service to our clients statewide. Our lab is lead by Certified Forensic Computer Examiner, Christopher J. Watkins. Christopher began his career as a digital forensic examiner in 2010, and has been qualified as an expert witness in the field of Digital Forensic Science in United States District Court District of South Carolina (Federal), South Carolina Circuit Court (General Sessions and Common Pleas), and South Carolina Family Court. Digital forensics can play an integral role in all types of investigations. From domestic cases, to criminal investigations, to allegations of fraud, digital forensics can uncover evidence that is vital to your case. At Stillinger Investigations, we understand the importance of discovering and preserving crucial data located on electronic devices, and we are here to help you obtain the evidence you need to be successful. Digital Forensics – Why Choose Us? Whether you have a cheating spouse, are in a custody battle or have an employee suspected of breaching data, digital forensics will help you uncover the truth of your situation. SI takes pride in our efforts to best serve our clients with the latest technology and can help you get the answer you need and deserve. In our onsite digital forensics lab, we use advanced analytical and investigative techniques to secure, identify, retrieve, preserve, and present evidence stored in most digital devices. Our state of the art technology allows us to perform forensic analyses on computers, tablet PCs, smartphones, and cellular phones, as well as other digital storage devices. We continuously invest in the most advanced technology and training to ensure that our digital forensics division provides the very best in electronic evidence services. Using the same advanced equipment and software that many law enforcement agencies use, such as Paraben’s Device Seizure and Access Data’s MPE+, we help clients acquire the evidence they need in a wide variety of cases. When crucial information is stored in digital form, preserving and examining it can be difficult and should not be delayed. We understand the importance of acting quickly. In most cases, our analysts can return your device within 8 hours. Examination of the data begins right away, and we will keep you updated with our progress throughout the investigation. Who Benefits from Digital Forensics? How long do digital forensic analyses take? While digital forensics encompasses data retrieval from most types of digital devices, not all analyses are the same. Our digital forensics lab is divided into two primary types of digital forensics services: computers, such as towers, desktops, and laptops, and mobile devices, such as tablet PCs, smartphones, and cellular phones. The steps for securing data on computers are simple for most cases. 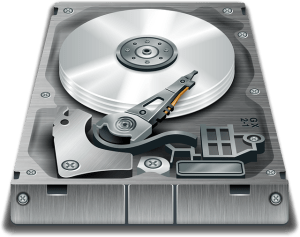 Imaging the computer’s hard disk drive generally takes a few hours, while the time needed for analyses varies depending on the size and capacity of hard disk drives. The steps for securing data on mobile devices can be difficult due to their constant communication with cellular towers, satellites, and wireless internet, especially for smartphones; however most mobile device acquisitions take less than an hour to complete, and the analyses usually requires no more than a few hours. If the device is off, leave it off. If the device is on, do NOT press anything or look further than the display. Note the date, time and location that you took possession of the device. Put the device into “Flight Mode” or “Airplane Mode” if possible. Enclose in signal blocking bag or box if available. Turning the device off will prevent data changes, but may trigger lock/protected mode. If the device is password protected and you do not know the password, our software will attempt to bypass this security feature. If no protection is available, you must choose between potential loss of data due to overwriting or possibly being unable to access any data at all. Contact a professional for advice. If possible, keep the device charged. Do NOT examine call history, address book, or any other data yourself. Turn the device over to a qualified examiner as soon as possible. Do not risk losing critical information. Our digital forensics staff is trained to handle your devices with care and to preserve the evidence contained on them. We perform extensive analyses to ensure that you obtain the evidence you need, and we compile the information into a report that details our findings. At Stillinger Investigations, our digital forensics team has the experience and knowledge to handle your investigation with the professionalism you expect and to deliver the results you need. Let our dedicated investigators get started on your case today.